Fortunately, many cannabis retailers and dispensaries are moving online. There’s plenty of options through delivery networks and marketplaces that allow you to place orders online and receive same day, in-person delivery. 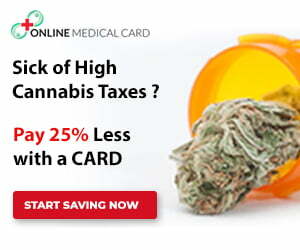 If you’re in Canada, there’s mail delivery services available like Herb Approach. For discounts and a list of all the services we recommend, check out the Cannabis Resources section. Join the VapeLife Club for exclusive, members-only promotions. 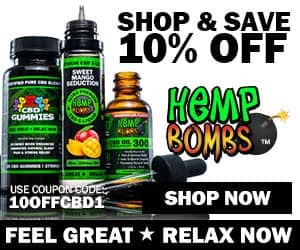 Where can I buy CBD online? Any CBD products that use CBD extracted from hemp do not contain THC and will not get you high. However, you can still benefit from the effects of the CBD. There’s many retailers that sell 100% legal hemp-based CBD products online and will ship directly to you. Check our list of online CBD retailers. Medical Marijuana contains many active ingredients (cannabinoids like CBD and THC) that are extracted from the plant and concentrated into cannabis oil. In liquefied form, cannabis oil is easily vaporized and inhaled. Vaping cannabis oil is often considered a healthier alternative to smoking as it allows you to enjoy the benefits of MMJ while avoiding harmful smoke that’s produced with combustion (no burning plant material). High quality cannabis oils tend to be thick and clear, containing pure THC oil (70%+ THC). Mid-grade cannabis oils are often blended with natural additives like coconut oil. Lower quality cannabis oils contain low concentrations of THC and can contain additives such as propylene glycol, vegetable glycerin and other possibly harmful solvents. How do vaporizer pens work? Every vape pen contains a heating element which heats up the cannabis oil, reaching the temperature right before the point of combustion, causing the oil to vaporize. A typical vape pen consists of a battery/atomizer that attaches to a vape cartridge that’s filled with oil or other concentrates. Most consumer level vape pens use a conduction heating element, while many high end vaporizers use temperature-controlled, convection heating (like the Dry Herb+ vaporizer). What is the right vaporizer for me? Vaporizers are available in a wide variety of sizes and features. If you’re always on the go and looking for something discreet and portable, a pre-filled and pre-charged disposable vape is the way to go. Another great alternative is to use a standard vape pen (similar to an e-cig) which is fairly inexpensive and pairs with pre-filled vape cartridges. Other vape pens are designed to vape dry herb (dry MMJ flowers) while combo vape pens can use both flowers and other cannabis oil concentrates such as wax and shatter. If you consume large amounts of cannabis, you may be interested in a larger, stationary desktop vaporizer like a Volcano vaporizer. What size cartridges fit my vape pen? 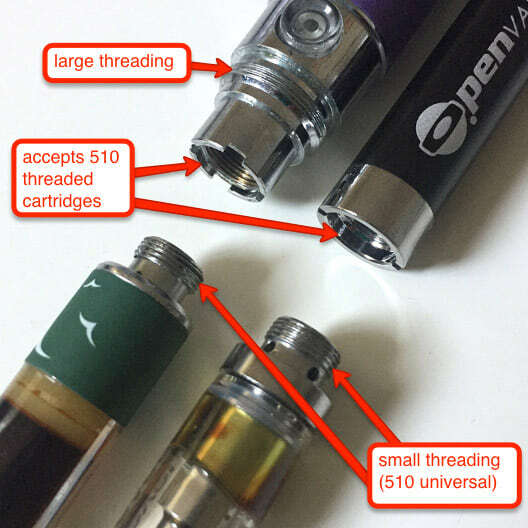 Standard vape pens are compatible with vape cartridges that use the small, universal 510 threading. 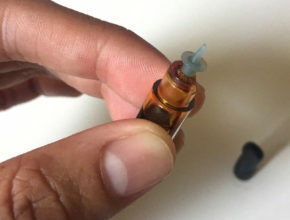 Most vape oil cartridge brands (Bhang, Jetty, and Spliffin to name a few) use the small threading which is found on the outside of a 510 size cartridge while other brands use larger-sized threading which is found on the inside of the cartridge. CO2 extraction is an increasingly popular concentrate extraction method in the medical cannabis industry. Extracting cannabis oil by CO2 involves an industrial “supercritical” machine which pushes carbon dioxide through raw flower materials at high temperatures and pressures to separate the oils and cannabinoids from the plant. These compounds are then concentrated into a vaporizable oil rich in cannabinoids. Help! My vape cartridge is not working. How do I fix it? Try the cartridge with a fully charged battery. Try the cartridge with multiple batteries to rule out the battery as the issue. Poke a paper clip through the opening of the mouthpiece to ensure a clear airway. Remove the mouthpiece tip to check the plunger is not dislodged. Try adjusting how tight the cartridge is screwed into the battery. There may be a disconnect between the battery and atomizer. Check if the cartridge has leaked oil into battery. Clean off any oil to ensure a good connection. Check that the connection on the bottom of the cartridge sits flush with the edge. You can use a pin to pull the connector out if it is pushed in too deep. Be sure to follow any special preparation instructions that your vape may require. 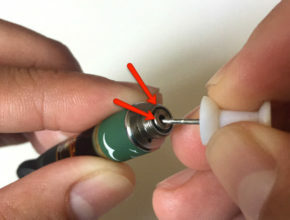 For example, Pure Vape cartridges require removing the mouthpiece and screwing down an unlocking mechanism before use. Try pre-heating the cartridge by running under warm water or blow drying for a minute or so. Do not fully submerge under water. If all else fails, reach out to the retailer where you purchased the vape or the manufacturer directly to see if they accept returns/exchanges for defective vapes. Most reputable brands will honor exchanges or refunds. For a better understanding of vape terminology, visit our comprehensive glossary of common vape terms. Phenotypes are the expression of the cannabis plant’s genes and are often associated with specific effects that classify flower strains as Indica, Sativa, or Hybrid. Indica strains are often associated with a “couch-lock” body high and is a healthy alternative which can be effective for pain management. Indica strains are also known to promote hunger, sleep, and reduce anxiety. Sativa strains are often associated with a more uplifting and stimulating cerebral effect. Sativa strains are better recommended for promoting creativity and are great for social environments. Hybrids can be any combination of Indica and Sativa in different ratios. Marijuana contains over 70+ organic compounds known as cannabinoids. These compounds interact with the body’s endocannabinoid system, inducing powerful medicinal and recreational effects. MMJ patients are most often concerned with the following cannabinoids: THC, CBD, and CBN. THC is the main psychoactive ingredient in marijuana, but has been used medicinally as a painkiller, anti-inflammatory, appetite stimulant and as an anti-depressant. CBD (cannabidiol) is the second most abundant cannabinoid and is non-psychoactive. There tends to be higher concentrations of CBD in Sativa cannabis strains. CBD is known to decrease the high effect from THC and is used for medical treatment of epileptic disorders. CBD has also shown some efficacy in the treatment of more severe conditions including MS, cancer, depression and PTSD. CBN (cannabinol) is slightly psychoactive with about 10% the effect of THC. CBN increases with the degradation of THC. The psychoactive effect of CBN is sedative and works well as a sleep aid to treat insomnia. It may also help reduce convulsions and anxiety. 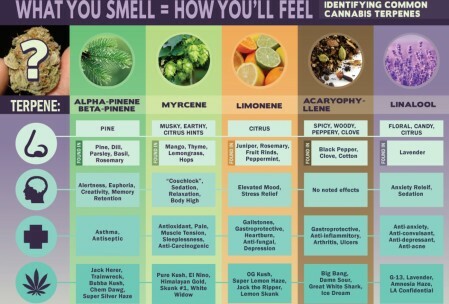 Terpenes are organic compounds found in all plants and give each plant and cannabis strain its unique characteristics like flavors and aromas. Terpenes are believed to act on the body’s CB receptors in the presence of cannabinoids, producing a wide range of effects. Common cannabis terpenes include limonene, linalool, pinene, and myrcene with each one having it’s own set of effects, smells and tastes. Limonene for example has a citrus aroma and is found in many Sativa strains. It works as a mild mood booster and is associated with alleviating depression and anxiety. Linalool is another common terpene associated with a lavender scent and gives the unique coloring and relaxing effects associated with strains like LA Confidential and Grand Daddy Purple. Whether you are seeking out a cannabis strain that has sedative properties or one that is uplifting and sparks creativity, it’s important to pay attention to terpene profiles as well as cannabinoid content. 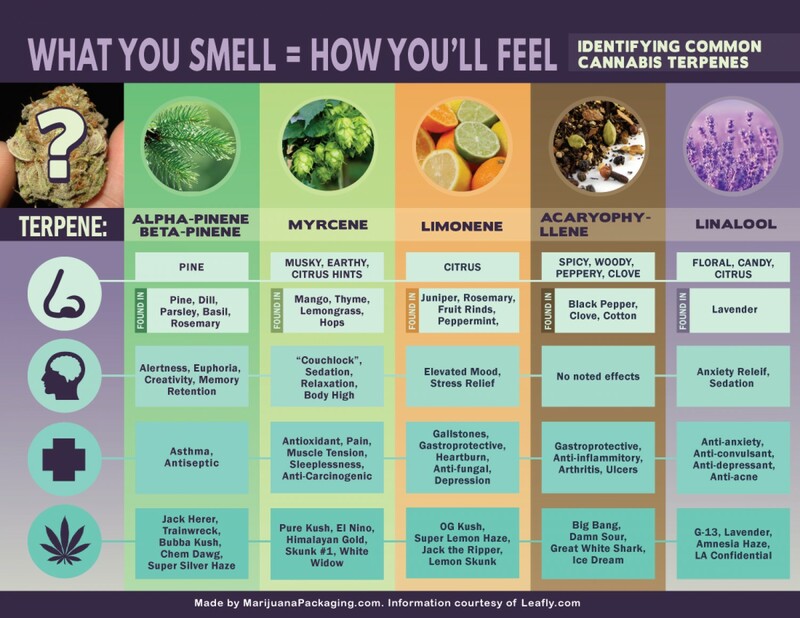 Learn more about terpenes and terpene specific strains on Leafly.